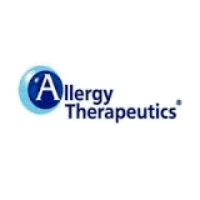 Allergy Therapeutics plc (LON:AGY), the fully integrated commercial biotechnology company specialising in allergy vaccines, today announced the publication of positive data in the journal Immunotherapy, demonstrating long-lasting efficacy of Pollinex Quattro Grass in patients with grass pollen allergy. Zielen et al., Long-term effect of monophosphoryl lipid A adjuvanted specific immunotherapy in patients with grass pollen allergy. doi; 10.2217/imt-2018-0004.